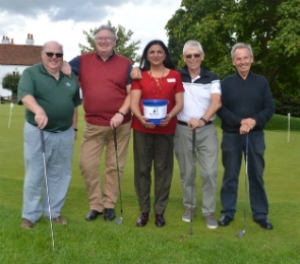 Golfers from Broxbourne Seniors, a section that play at Cheshunt Park Golf Centre were in full swing at their Captain’s Golf Day and kindly donated £375 raised from the event. 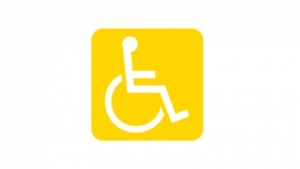 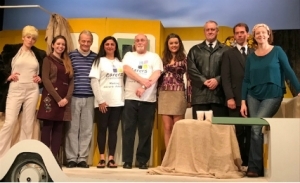 Generous theatre-goers that attended a comedy play based on the Carry On series which came to Bishop’s Stortford have helped over £600 to support our work with unpaid family and friend carers. 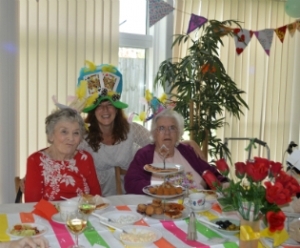 Pensioners that attend Borehamwood Seniors Club enjoyed a Crazy Hats themed tea-party with live music to mark Older Peoples’ Week (1st - 7th October 2017).